Having alluded to the WIPs of shame in an earlier post, I thought I should have a good old rummage and get everything out in the open for all to see. I am slightly scared at the prospect, so let’s take it slowly. 1. 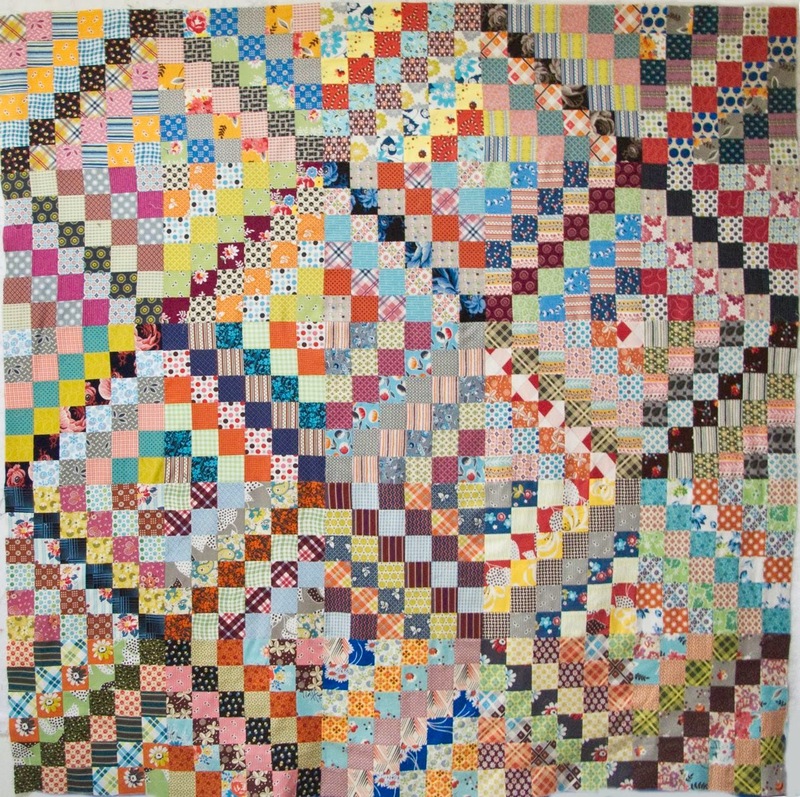 Meadow quilt. No progress since the last report. This one hasn’t been lurking for very long at all. Shame quotient 2/10. quotient 1/10 (they’ve only just all arrived). 3. Kids pjs. I bought the flannel in October. They keep asking when they will be ready. Endlessly. Shame quotient 9/10. 4. Yarn for some hats. These were meant to be Christmas presents but the recipients have no idea. Shame quotient 4/10 (mostly relating to the money spent). 5. Refraction blocks. I’ve had these bee blocks for a while. Say no more. Shame quotient 6/10. 6. Scrappy trip-around-the-world. Made last year during the #scrappytripalong frenzy. Top finished. Backing bought. 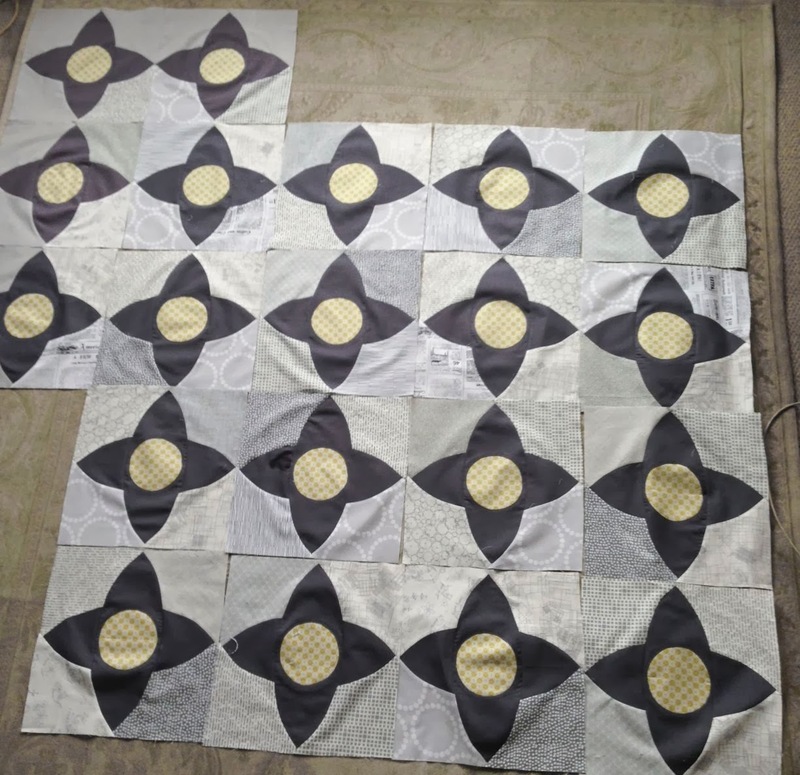 Needs basting, quilting and binding. Shame quotient 5/10 (I’m not sure how much I like it – that’s part of the problem). 7. 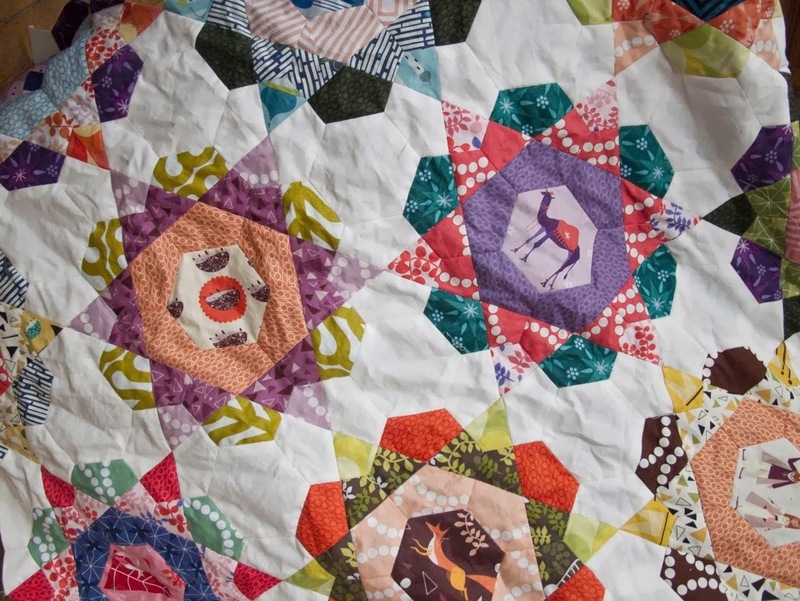 Lizzy House Rose star quilt. Lurky lurky lurkity lurk lurk lurk. Shame quotient 7/10 (get your bloody finger out, already!). 8. 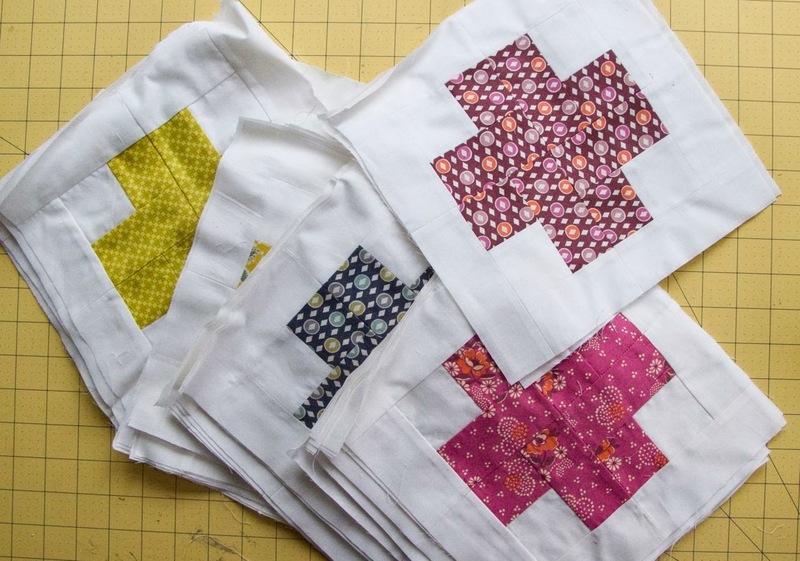 Hope Valley modern cross quilt. Oh god. This one has been in the works since Hope Valley was new, so about three years I guess. So long ago that I didn’t have a blog. 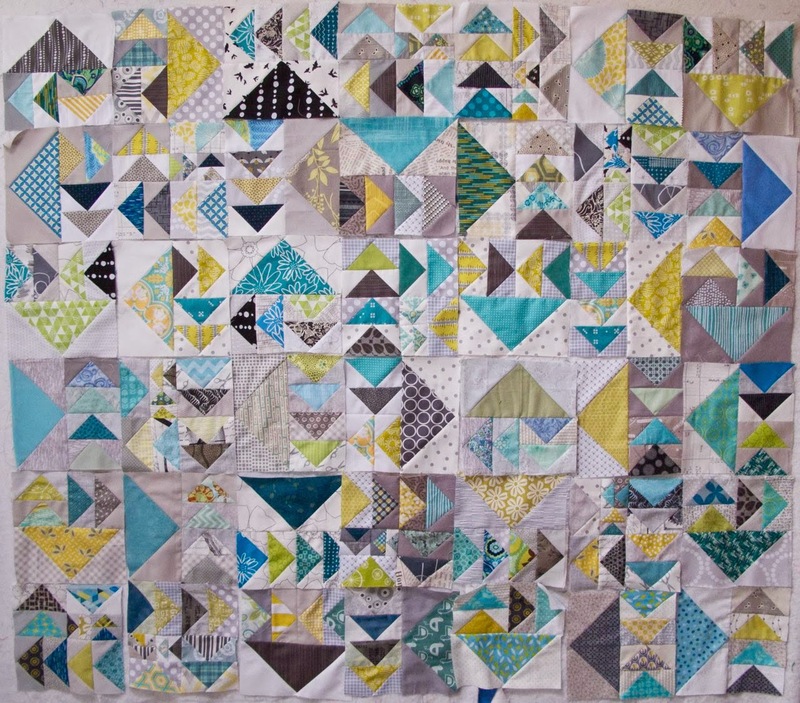 I’ve made 56 blocks and the remaining 27 are about half done. 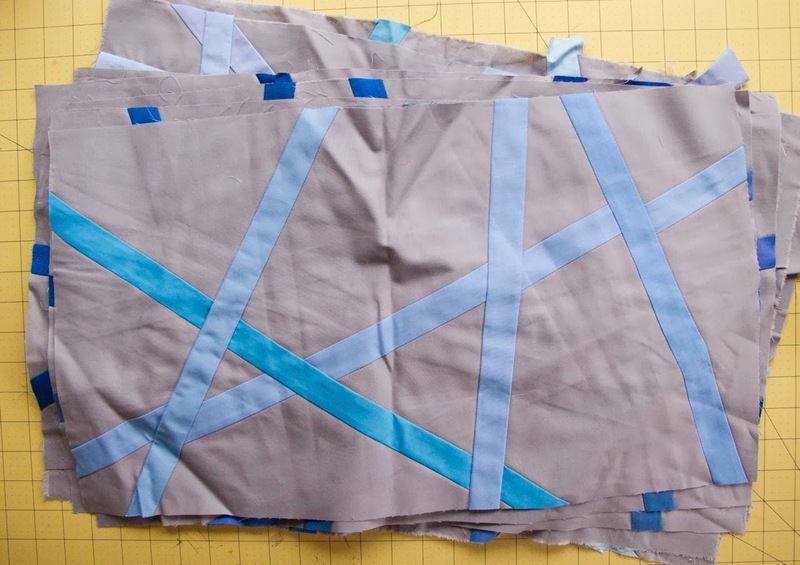 There are several problems with this quilt: (i) I hate making log cabin blocks so much that I would almost rather chew off my own foot; (ii) I’ve totally gone off the idea of making quilts using a single fabric line; and (iii) I used the backing to make a dress. Shame quotient 1/10. Sucking the life out of me quotient 11/10. And then there are the things that I haven’t started yet but that I’ve committed to making (like bee blocks, samples for the Village Haberdashery shop window, something for the Pantone Radiant Orchid challenge, a new quilt for the great nephew to replace the one that got lost in the post… you get the idea). So tell me, why do I spend hours each day faffing about in the internet when I should be getting my arse into gear? I think I need an intervention!